Split Squats: We’re still only using body weight for LEVEL II. To perform this squat variation you want to stand in a staggered stance with one leg in front of you and one behind you. Cherline has her hands out in front in the video, but feel free to do what you please with your hands to help you find your balance. Keeping the feet planted, bend your front knee to a squat keeping the thigh parallel to the ground. Your back leg should bend in a 90 degree angle. Watch to make sure that your knee is not over your toes. When returning back to standing push through your heel back to your starting position. Since we want symmetry make sure you complete the same number of reps with each leg. Prisoner Split Squats: You’ll do these exactly the same way as the previous squats, but this time your hands will be behind your head. With less balance focus on keeping the body steady and legs in alignment. Watch that the front knee doesn’t extend past your toes and get low! 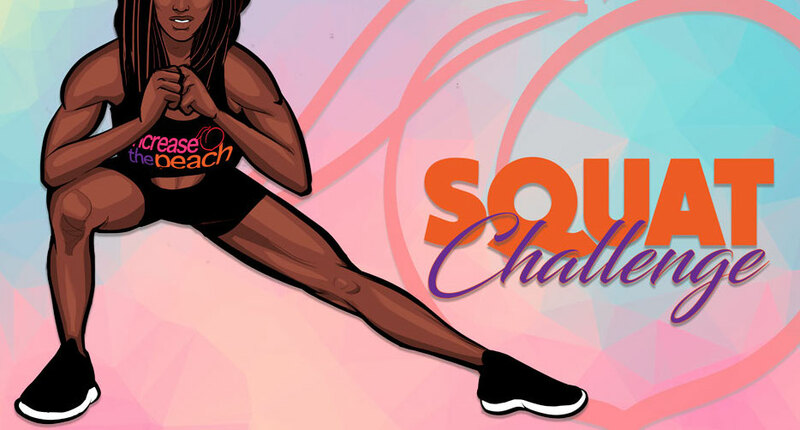 Bulgarian Squats: This squat variation is similar to the split squat, however, your back leg will be off the ground onto a flat surface that is knee hieght or lower. Once you are rooted in your stance figure out what your preference is with your hands. Avoid leaning over, keep your chest up, bend the knee of your front leg to a squat keeping the thigh parallel to the ground. Watch to make sure that your knee is not over your toes. When returning back to standing push through your heel back to your starting position. Remember to repeat with both legs. 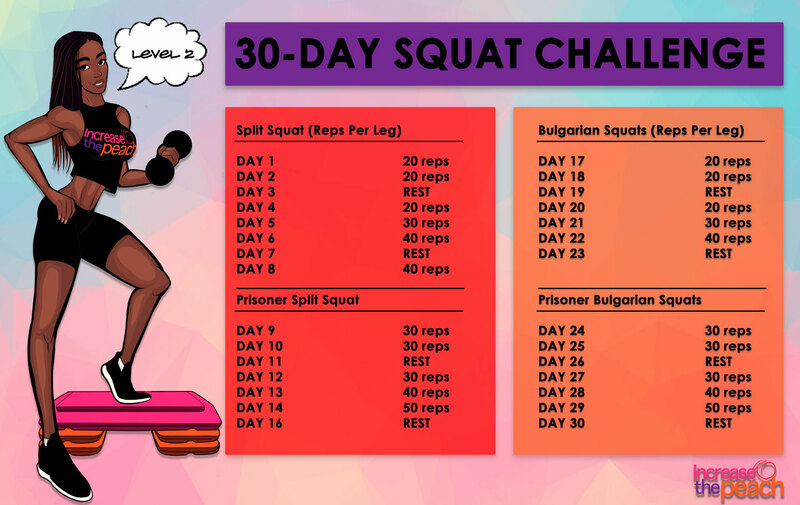 Bulgarian Prisoner Squats: Refer to the notes above, you’ll be completing the same movement pattern now with your hands placed behind your head.